Drug and alcohol abuse elicits significant biological changes in the brain that drive compulsive behavior and lead to addiction. Abrupt cessation leads to withdrawal, craving, and relapse. A complete understanding of the brain changes produced by abused substances is therefore necessary if we are to develop treatments for drug dependence. 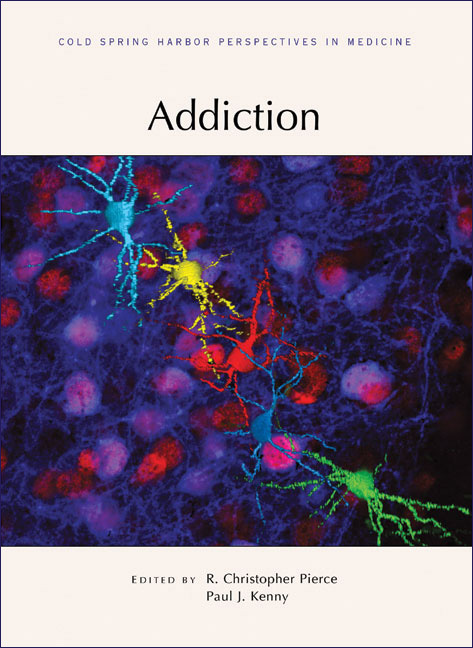 Written and edited by experts in the field, this collection from Cold Spring Harbor Perspectives in Medicine explores the biological basis of addiction to alcohol, nicotine, and other psychoactive drugs. Contributors describe the molecular targets of these drugs, the resulting changes to neural networks, and the various genetic, developmental, and behavioral factors that influence the progression from abuse to addiction. Animal models of addictive behavior and techniques to dissect neural circuits are also described. This volume includes discussion of compounds currently used or under development to treat drug dependence. Thus, it is an indispensable reference for neuroscientists and all who are interested in reducing the public health burden of substance abuse. John W. Muschamp and William A. Carlezon, Jr.